Do yo u remember that favorite book that your Mom read to you? Wish you could read it to your kids or grand-kids? Did you discard a favorite book during your last move? We may have found it. From time to time, SCFOL acquires early editions, rare books, and gently used special books through the generous donation of supporters of the San Carlos Branch Library. 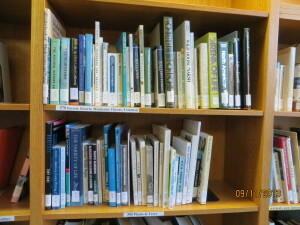 Our book donation sorters comb the internet for comparable editions. This requires hours of volunteer work. Following their research, these books are listed on Amazon.com where you can order them at a very competitive price. Click on San Carlos Books and then PRODUCTS to see the entire list of what we are offering. We hope you will expand your support of our first Saturday of the Month Used Book Sales by searching for specific titles on line, and buying from us, via Amazon. We thank our SCFOL Board Member, Ruth Coleman for the hours that she puts into creating the Amazon listings. Proceeds from the sale of these special tomes buy books, programs and equipment for the San Carlos Branch Library.